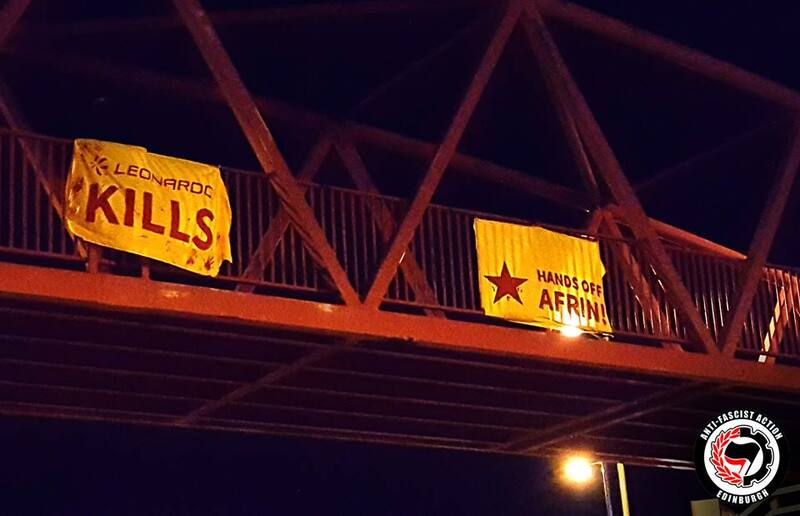 While the death of volunteer fighters from Europe has brought the war in Syria closer to some in the UK, for most Edinburgh people the Turkish invasion of Afrin and their military’s constant killing of Kurdish civilians seems worlds away. Who would of thought that not only was there an arms company with a factory in North Edinburgh arming the Turkish military, but that the company has received over £6 million from the Scottish Government. Italian firm Leonardo manufactures the Mangusta attack helicopter for the Turkish army. These helicopters have been used to attack civilians who have fled ISIS and been used to invade the Kurdish city of Afrin. Kurdish people and the fighters of the YPJ and YPG defeated ISIS and have now been hung out to dry by the west. The Turkish military cannot be allowed to continue their deadly invasion of Kobane and the taking of Kurdish land and killing of Kurdish people. The silence from Europe is deafening and the hypocrisy of the Scottish Government in funding the arming of a military denying the Kurdish people independence cannot go unchallenged. This action may not do much to stop the slaughter in Afrin, but it will mean there is one less day that workers at Leonardos can go to work in peace without contemplating the deadly consequences of their work. It is also a message to the Kurdish people in Scotland and all across the world that they are not alone and that there are people who care deeply about their struggle. It’s time for the people of Scotland to stand with the Kurdish people against this brutality from the Turkish state. The complicity of the West and the willingness to not only fail to condemn but to actively support financially, industrially and politically the invasion of Afrin, which has taken so many lives, is shameful. 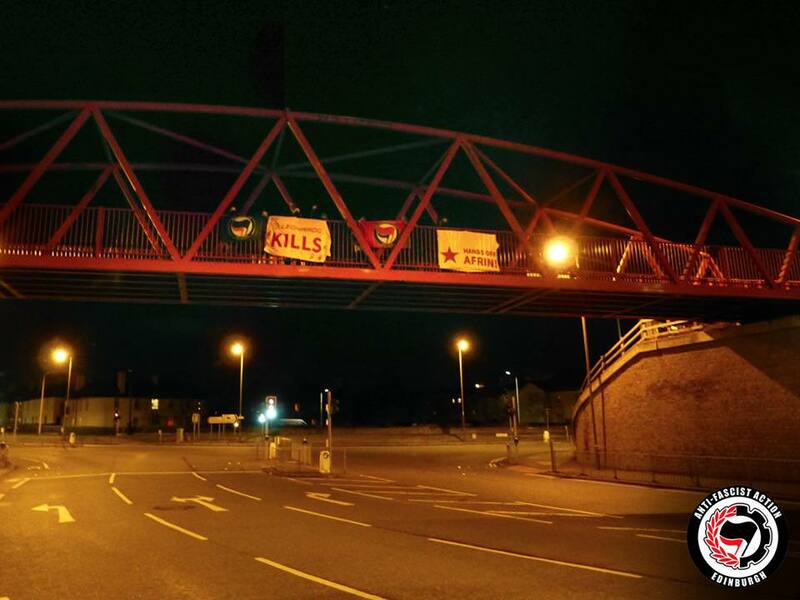 Edinburgh Antifascist Action stands in solidarity with all those struggling for liberation in Kurdistan against the merciless, fascist Turkish state and the Islamo-fascist fighters it has enrolled in its assault on the city of Afrin. We are outraged at not only the willful passivity of the British and Scottish Government in the wholesale slaughter of civilians and freedom fighters in the area, but by their active collusion with fellow NATO member Turkey in the violent assault on and suppression of the democratic and autonomous liberated territory of Rojava. Both the British state, and more locally the Scottish government, funnel millions of pounds in subsidies to arms companies busy furnishing the Turkish armed forced with state of the art equipment used to commit attrocities against the Kurdish people. Arms companies such as Leonardo, with a base of operations in Edinburgh, are a vital part of the military supply chain sustaining the Turkish war effort against the Kurdish people. Scottish and British government support for the arms industry is Scottish and British support for the violent attack on Rojava. Edinburgh Antifascist Action calls upon the British and Scottish government to prevent any and all provision of military equipment to the Turkish state through all means at their disposal, including, but not limited to, the end to government subsidies for arms companies such as Leonardo. Anything less would be an admission to the ongoing collusion with war crimes against Rojava and the Kurdish people and will not be tolerated. 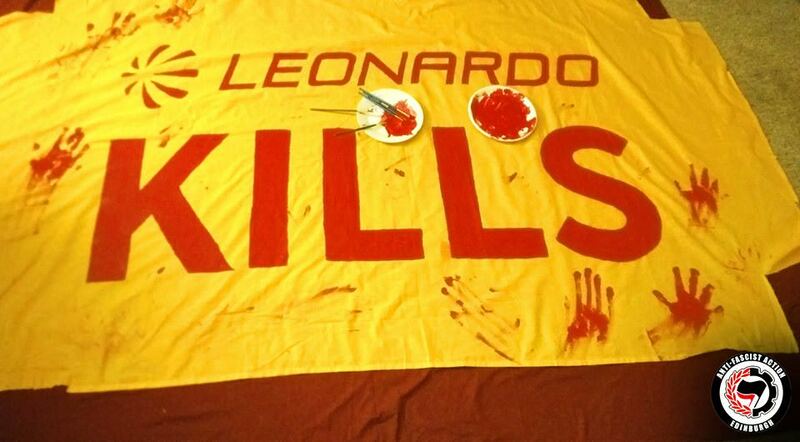 War profiteers such as Leonardo can, will and must be shut down and the people of Kurdistan can, will and must be free of the death and destruction these companies thrive on. The struggle against Turkey and the arms companies supplying it is part of the struggle against resurgent fascism. We call on all anti-fascists to support the Rojava revolution against the invaders seeking to crush it, and to stand against arms companies and war profiteers parasitically sustaining themselves on the carnage.